Portugal is off to a rough start to qualifying for the 2020 European Championship, and it only got rougher on Monday. The defending European champion Portuguese ended up drawing drew Serbia 1-1 with Danilo’s goal shortly before halftime canceling out Dusan Tadic’s early penalty. That followed a scoreless draw on Friday against Ukraine to open Group B qualifying. But there’s still tons of time for Portugal to turn things around. More pressing for Ronaldo is the Champions League quarterfinals, where his club Juventus will face Ajax on April 10 and April 16. His availability could go down to the wire, depending on the prognosis, although he can also afford to sit out Juventus’ three Serie A games between now and the quarterfinals. The club has a 15-point lead atop the table, and its primary focus is the Champions League. England pummeled Montenegro 5-1 to extend its lead atop Group A, but the match is making headlines for alleged ugly fan behavior toward the end. 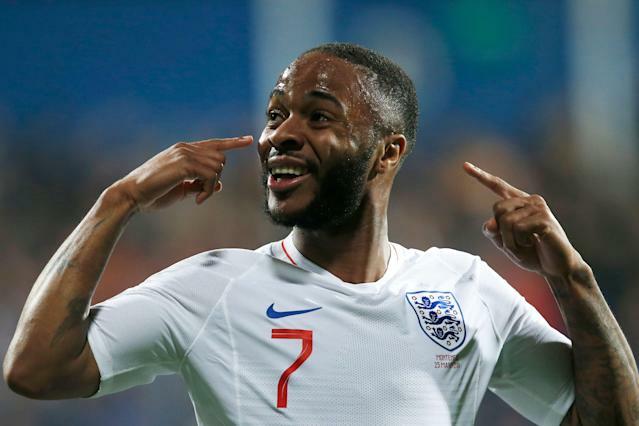 English players Raheem Sterling and Danny Rose indicated racist taunts were being lobbed their direction by supporters, and manager Gareth Southgate said he heard the same being directed toward winger Callum Hudson-Odoi. Southgate also said England would filed a formal complaint with UEFA, the governing body of European soccer. Veteran Daily Mirror reporter John Cross indicated he heard racist taunts as well, and Sterling raised his hands to his ears after scoring the fifth and final goal in an apparent message to the abusive fans. Ross Barkley scored twice while Michael Keane and Harry Kane got the other goals for England, which overcame Marko Vesovic’s stunning 17th-minute strike to give Montenegro a shock early lead. England beat the Czech Republic 5-0 to open qualifying on Friday, and looks every bit the part of a contender for the Euro 2020 trophy. The reigning World Cup champions continue to offer little in the way of weakness, beating Iceland 4-0 behind goals from Kylian Mbappe, Antoine Griezmann, Samuel Umtiti and Olivier Giroud. With his goal in the 68th minute, Giroud scored his 35th goal for France and took sole possession of third place on the country’s all-time scoring list, trailing only Thierry Henry’s 51 and Michel Platini’s 41. France beat Moldova 4-1 last week and tops Group H along with Turkey, although Les Bleus are ahead on goal differential. 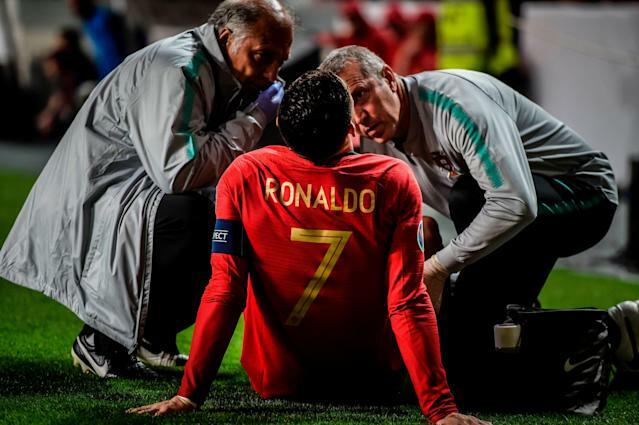 Should the French cruise to Euro 2020 as expected, they will have a chance to avenge a loss in the 2016 final, when Portugal beat them in Paris despite playing without Ronaldo for most of the match due to injury. Iceland, meanwhile, could struggle to return to the competition in which it broke onto the international scene three years ago. After that stirring quarterfinal run, Iceland qualified for the World Cup for the first time ever, but went on to earn just one point in three group stage matches last summer in Russia. The final match day of this international break takes place Tuesday, with Spain and Italy facing minnows Malta and Liechtenstein, respectively. Both sides will look to join England, France, Turkey, Belgium, Poland and Northern Ireland as the only teams to earn a full six points from their first two qualifying matches. Why did an NCAA star ask his coach to bench him?